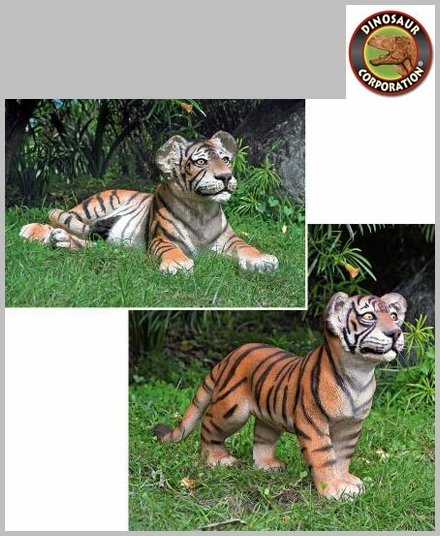 Wildlife Tiger Cub Statues Outdoor Sculptures. 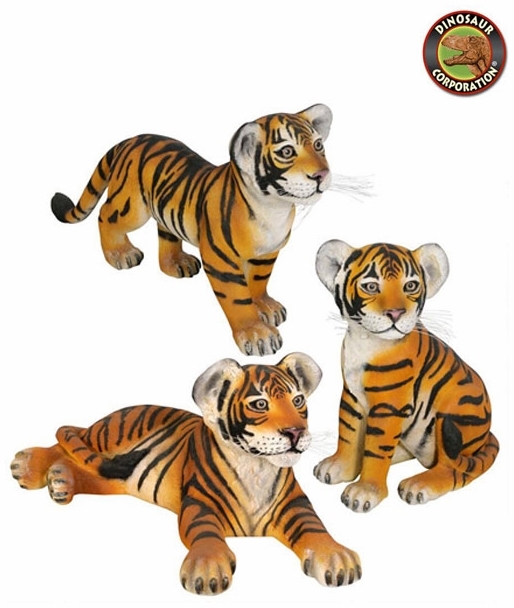 These playful tiger cubs add an exotic touch to any home or garden! With characteristically fierce beauty, these baby tigers are amazingly detailed, cast in quality designer resin, and hand-painted with thick black stripes that capture every nuance. These large-scale, display-quality animal sculptures transform any home, garden, restaurant or hotel into something truly magnificent! * Lying Down Tiger: 32" W x 17" D x 15" H.
* Standing Tiger: 34" W x 9" D x 18�" H.
* Sitting Tiger: 17" W x 11" D x 21�" H.